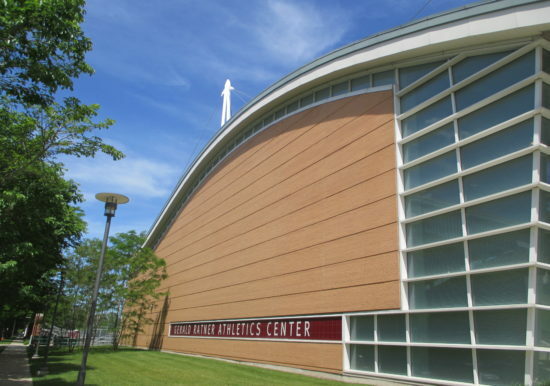 The Gerald Ratner Athletics Center was designed by famed architect Cesar Pelli and was completed in 2003. 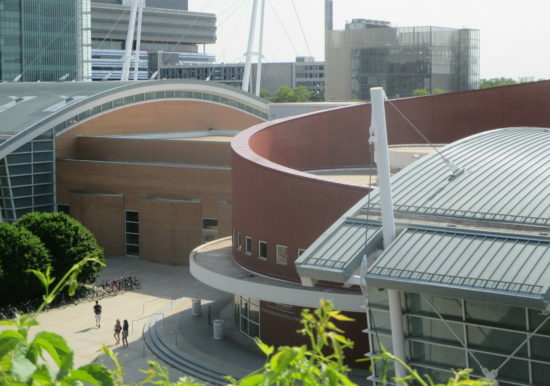 The complex is composed of an asymmetrical red brick entrance rotunda topped with a skylight at the main entrance, and two (2) wings at each end with glass curtain walls and an S-shaped metal roof with the Myers-McLoraine Swimming Pool to the North, and the Bernard DelGiorno Fitness Center to the South. 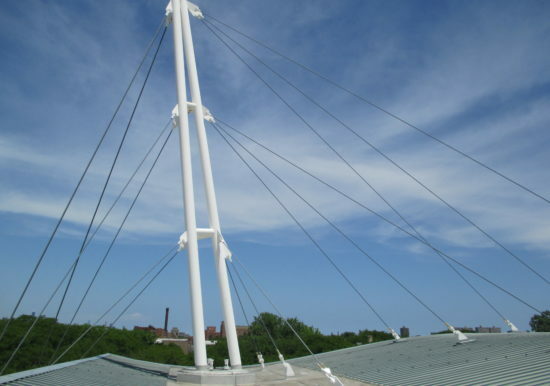 Structural steel mast-and-cable supports suspend the s-shaped roofs over the structures. 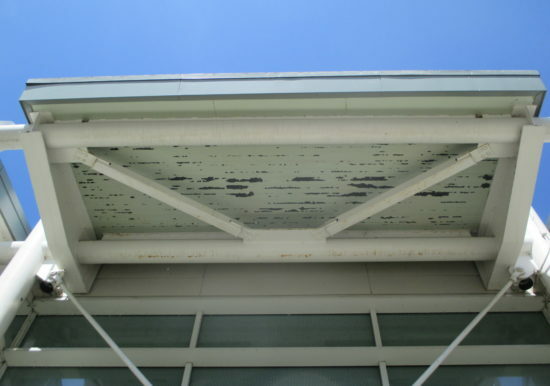 The building facades were experiencing varying degrees of distress including paint deterioration on metal surfaces, brick walls leakage, and localized exterior sealant systems’ deterioration. 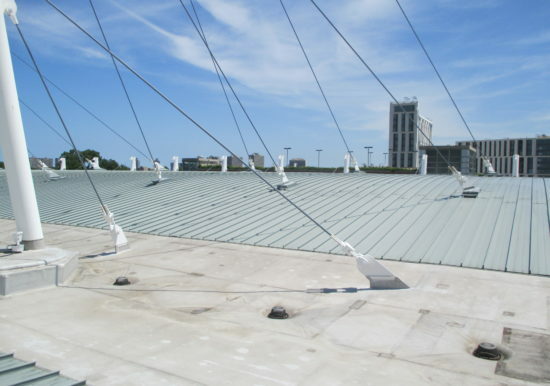 Considering the age of the facility, such distresses are expected and require performing routine maintenance to prevent further deterioration of the facades as well as to prolong the durability of the facades. 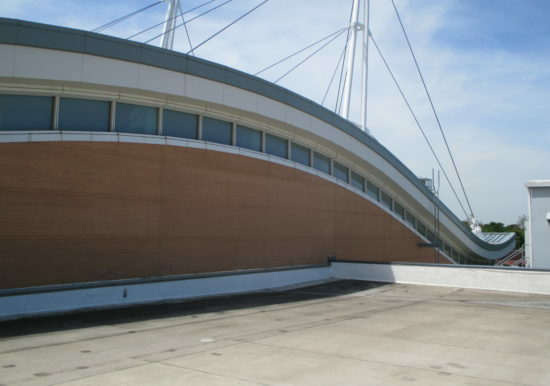 ZS was retained to perform a facade condition assessment, repair construction documents and construction observation services at the Ratner Center. The scope of the assessment included a 3D Laser Scan of the building’s exterior, as well as a thorough visual survey of the building facades. 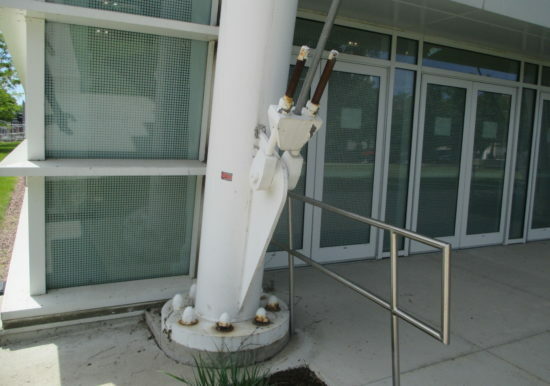 The project repairs were completed under ZS supervision while the building maintained occupancy and functionality.